Want to gain a competitive edge over the competition? Do what so many pro athletes are doing: schedule an appointment with a chiropractor and start a regular regimen of chiropractic care today. “Experts estimate that 90 percent of all world-class athletes use chiropractic care to prevent injuries and increase their performance potential. All National Football League (NFL) teams rely on DCs in varying capacities, and 77 percent of athletic trainers have referred players to a chiropractor for evaluation or treatment,” according to the American Chiropractic Association (ACA). In fact, as many pros and amateur athletes and teams across the country seek new strategies to achieve a competitive edge, they’re finding chiropractic care is an effective approach to achieving overall wellness and advancing preventative care. No matter what athletic level you are at, if you are on Long Island and are looking to obtain an edge in a natural healthy way, Total Chiropractic Care and Wellness in Medford could be your answer. Because athletes are fine-tuned biomechanical sports machines that thrive thanks to top physical and mental conditioning, it’s important that athletes stay in tip-top shape. Even a minor breakdown in a single part of the body – back, neck, knee, elbow, and ankle, to name a few common potential injury sites – could mean the difference between playing or being benched. 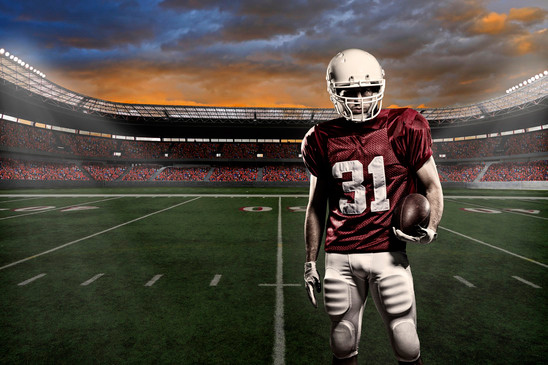 Athletes at every level – from professional to amateur, college, high school and even weekend sports – are finding that being under the care of a chiropractor maximises their athletic performance, as well as guards against and manages injuries. 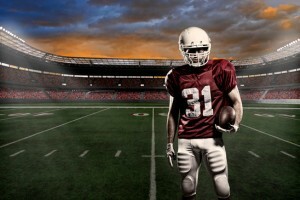 A whole host of top current and past pro athletes in a wide range of sports benefit from chiropractic care and pain management on a regular basis: Joe Montana, Emmitt Smith, Evander Holyfield, Usain Bolt, Michael Phelps, Kelly Slater, Dan O’Brien, Wade Boggs, Michael Jordan, Ivan Lendl, Martina Navratilova, Arnold Schwarzenegger, Tiger Woods, Derek Parra, Dan Marino and Wayne Gretzky. Preventing Injuries: There are some injuries that can’t be prevented. However, with routine care from a chiropractor, many can be lessened or avoided completely. Chiropractors, such as Dr. Todd Goldman at Total Chiropractic Care and Wellness, can help perform adjustments, which are effective because they address any underlying musculoskeletal misalignments to prevent and remedy pain before it turns into something more serious that can keep you permanently side-lined. Promoting Faster Healing Post-Injury: Studies have shown regular chiropractic care also help athletes recover more quickly and heal properly. Chiropractors, such as Medford chiropractor Dr. Goldman, employ different techniques and therapies to help accelerate healing and rehabilitate injured areas. Improving Mobility and Performance: Chiropractic adjustments are a non-invasive approach to helping improve athletes’ performance. Furthermore, numerous studies support chiropractic care helping athletes reach an optimal level of performance, according to the ACA. To that end, chiropractors, such as Dr. Goldman, can help with conditioning and exercises to enhance speed and flexibility, manipulations to improve range of motion and adjustments to strengthen balance and improve posture and alignment. To get started with your own chiropractic routine and reap the benefits of regular chiropractic care, give Dr. Goldman in Medford a call at (631) 447-2299 today. He follows evidence-based treatment procedures that begin with diagnostic exams to precisely determine the cause of your pain. The adjustments the doctor provides his patients are based on his diagnostic findings and address the underlying musculoskeletal misalignments triggering a patient’s pain, rather than simply “masking” these symptoms with medication.